The best way to experience art is up close. By nature, art-making is messy, hands-on and full of colour, so encountering the sights, sounds and textures of artworks should feel the same. 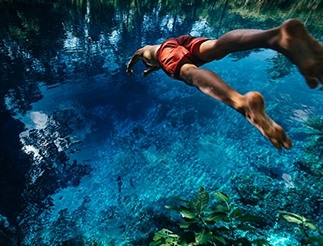 A far cry from stuffy rooms full of frames, these top art galleries around Australia are immersive, interactive and make for an awesome wet weather activity for the whole family. Assemble your troupe of tiny tots or teens and tag along to the awesome array of family-friendly activities on offer. From one of the windows inside the Art Gallery of NSW, you can catch a glimpse of the Harbour Bridge and sparkling waters. 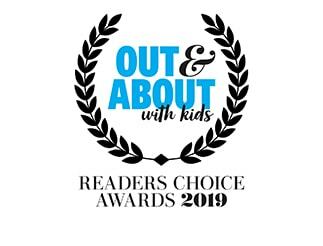 On the last Tuesday and last Thursday of each month, you can also join Tours for Tots, a program for 3 to 5 year olds that focusing on a new theme each session. Check the gallery calendar for what’s on, especially during school holidays. Coming up in the July break, there are two free Drop in and Make programs to check out. On July 9th to 13th and 15th, you can help the gallery celebrate NAIDOC week by creating art with provided materials inspired by the Aboriginal and Torres Strait Islander collection. From 16th to 20th of July, join Drop in and Make: Faces, Places and Spaces for an interactive, kid-friendly encounter with the 2018 Archibald, Wynne and Sulman Prize exhibitions. Nearby, in Circular Quay, the Museum of Contemporary Art hosts Art Baby gallery tours for 0-1 year olds, Art Safaris for 3-5 year olds and several school holiday programs. The MCA’s focus on contemporary art means there are heaps of audiovisual pieces, sculptures and sensory experiences ideal for littlies. 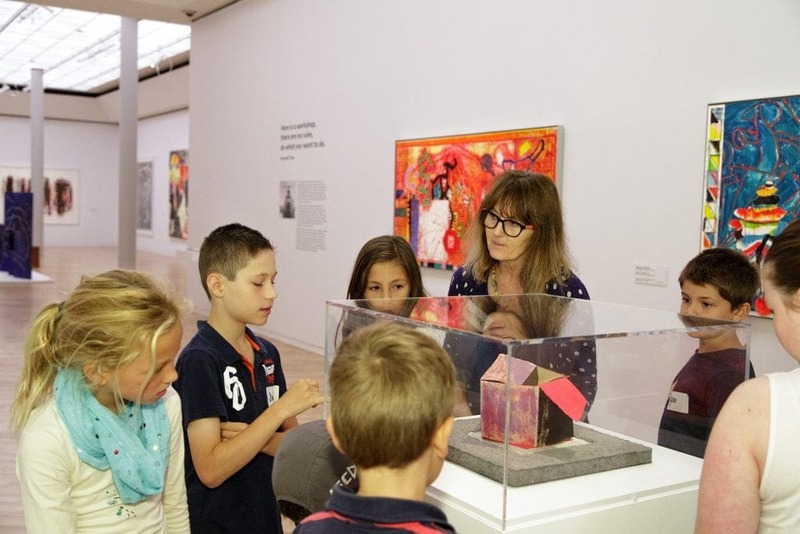 Onsite at the Gallery of Modern Art, visitors can explore the Children’s Art Centre with interactive installations, Toddler Tuesdays and the Art Starters free program. Until 7th of October 2018, you’ll find Tony Albert: We Can Be Heroes at the Children’s Art Centre. 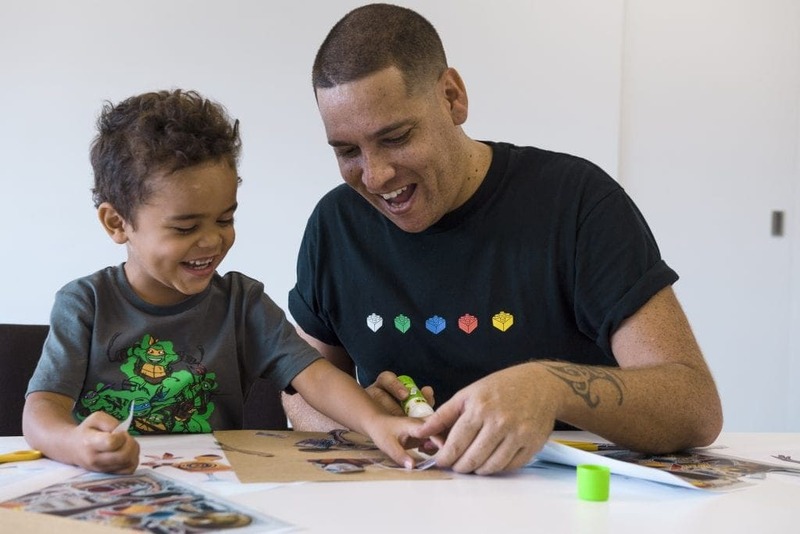 There are photographs and illuminated paintings on show telling the stories of the Warakurna people of Western Australia, as well as the chance to create a digital superhero identity and design a monster collage. Until August 5th 2018, the Centre is also hosting Patricia Piccinini’s Curious Creatures exhibition with a burrow-like tactile space for under 8 year-olds. Can’t make it in to the gallery? 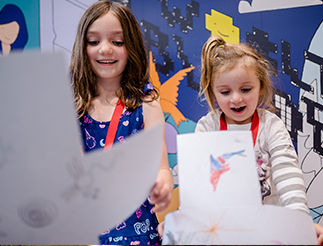 Bring the fun of the Queensland Art Gallery and Gallery of Modern Art home with you through their online platform, QAGOMA KIDS. The site has free resources that include educational games and make-at-home art. A family visit to the NGV has your whole day covered. 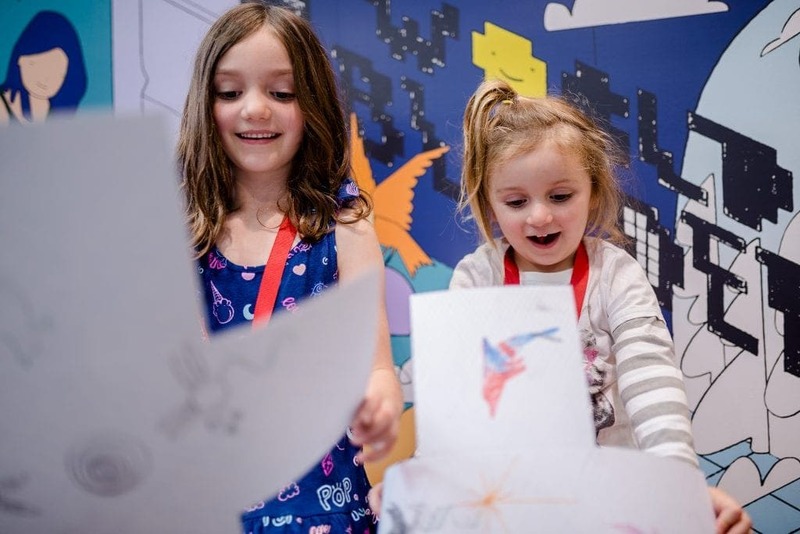 Enjoy free entry to the NGV Kids Exhibition, which is based on what other displays are showing in the gallery. From June 2018 to October 2018, for instance, there is a large-scale participatory installation of New York City to complement Melbourne’s MOMA exhibit. There are also weekend workshops during the school term for 5 to 9 year-olds and 10 to 14 year-olds. Bring your own picnic lunch to enjoy in the garden or Great Hall, or duck into the Gallery Kitchen for a babycino and kiddie lunch box package. Teens are catered to with the NGV Teens program, which offers the chance for older kids to meet artists and complete art-making workshops. The Imagination Room is where it all happens at the Art Gallery of WA. This space is dedicated to hosting artist talks, workshops and the ArtBubs program on the third Wednesday of the month. Babies up to 1 year old and an accompanying adult can tour the gallery for $15 with a guide and then enjoy coffee, cake and a chat. 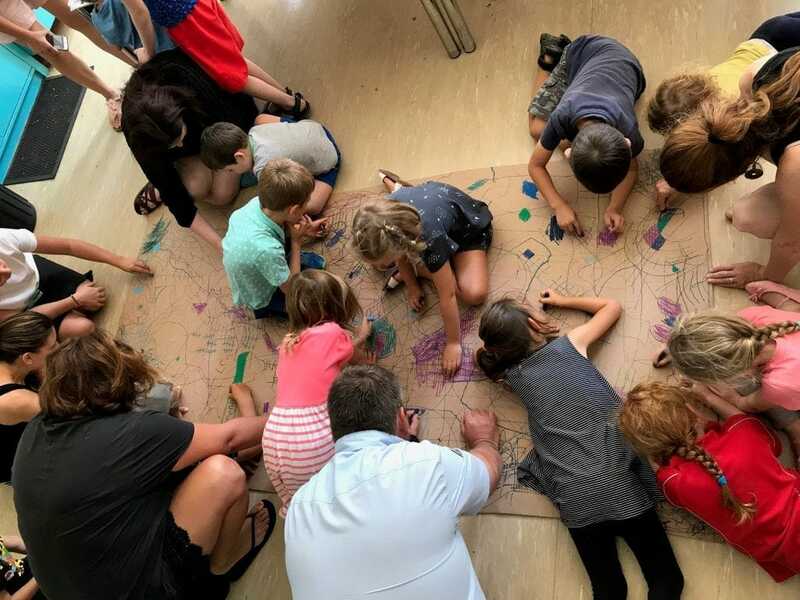 School holiday programs run by the gallery also include Family Art Trail free guided tours, getting wacky photos taken with works and designing your own masterpieces. Keep an eye out for temporary events and exhibits tailored to visiting families. Until 18th of June 2018, for example, to complement the Corsini exhibition, the gallery hosted the Design your own Emblem activity in the Imagination Room. This July, for example, from the 8th to the 15th, the gallery is running a series of free events in celebration of NAIDOC Week 2018. These include tours through Indigenous women's art displays, hands-on collaborative children's art-making, an artist talk and a free music concert on 7th of July. 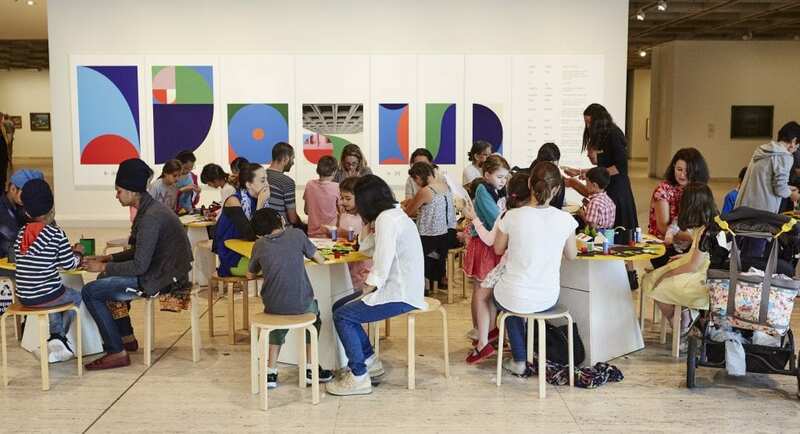 On the first Sunday of every month, the Art Gallery of South Australia runs their START at the Gallery program for kids aged 3 to 12 and their families. Each month, there is something new and different to try out, including children’s tours and live music performances from cool gallery visitors such as the Adelaide Symphony Orchestra. 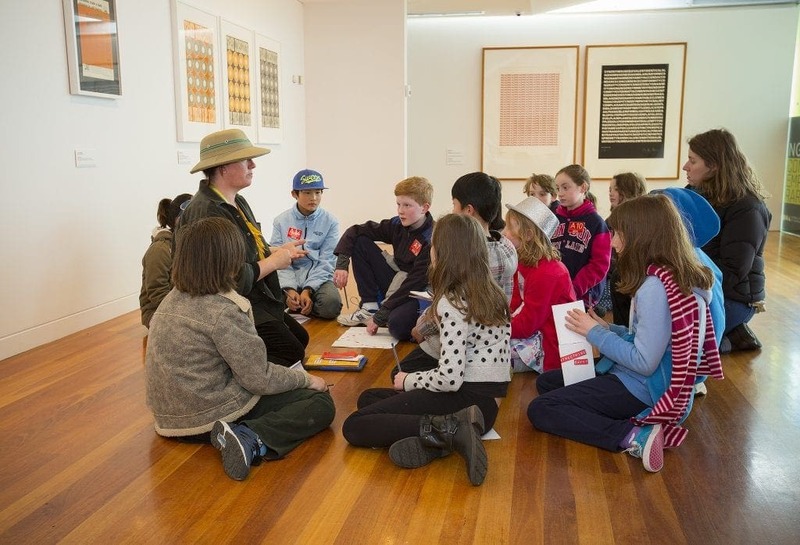 School holiday workshops are another great way to experience the gallery. This July break, 5 to 12 year-olds can make floating chalk impressionist prints, or learn basic print-making techniques at Print Mania with artist Simone Tippett. 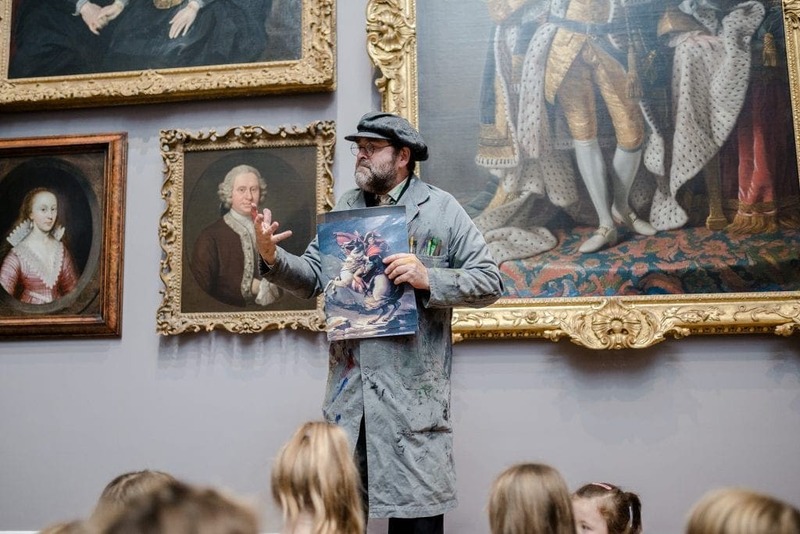 From Monday 16th to Friday 20th of July, there is also a special kid-friendly performance tour of the Colours of Impressionism exhibition with none other than Henri Matisse! Throughout the year, the special NEO program for 13 to 17 year-olds hosts live music events, edgy workshops, meet-and-greets with local artists and bi-monthly parties amid the artworks. On June 16th, the Le Freak, C’est Chic party includes a tour of the Musee d’Orsay exhibition, creative labs, karaoke and live music by teens. On August 11th, the NEO SALA Soiree hosts digital drawing tours, dance floor fun and more to celebrate the South Australian Living Artists Festival. The best time to visit the awesome, frequently-changing exhibits of the NGA is during school holidays. There are free family tours, creative family meditation sessions and Sketchy Tuesdays, to which you bring pencils, paper and a love of drawing. Kids 8 years and older can attend a whole-day Art Explorer Creative workshop or an art mystery adventure tour called ASI: Art Scene Investigation. In term time there is plenty to keep you busy, with free collectible colouring sheets and the awesome NGA Play area. On the third Wednesday of the month, the Little Look at ART program invites 0-1 year olds and their designated grown-ups to attend an art tour and coffee break. stART with Art for 2 to 5 year-olds combines art with a live music concert program and needs advance booking. 3 to 5 year olds can enjoy storytime programs. Year-round, there is also the My Friend at the Gallery free program for 2 to 6 year olds in which kids can take their new friend, a doll based on people and artwork on display around the gallery. The ‘friend’ comes with a digital storybook on an iPad provided by NGA to help you conduct a kid-friendly self-guided gallery tour.